Apple Howling or 'wassailing' is an ancient custom in which the 'evil' spirits are driven out and the 'good' spirits are encouraged to produce a good apple crop for the following year's cider. The Chanctonbury Ring Morris Men revived this tradition in the area over 45 years ago and it has become an essential part of Christmas for many people, especially families with young children, who seem to welcome the opportunity to make as much noise as possible! The ceremony was traditionally held on the eve of Twelfth Night, old Christmas Day, but we have settled on the first Saturday in January as a regular date for our event. The venue is Old Mill Farm, Bolney, RH17 5SE [Map] and we are grateful to Glyn Stevens, the owner, for making us welcome, as always. 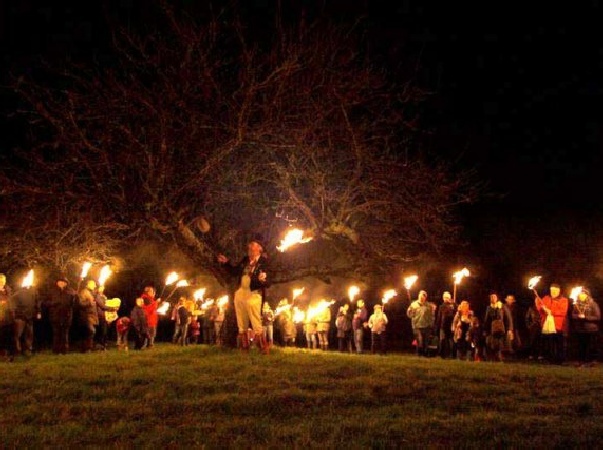 The proceedings begin in the farmyard at 6pm with a torchlight procession down the lane to the orchard, where the wassailers encircle one of the oldest trees. 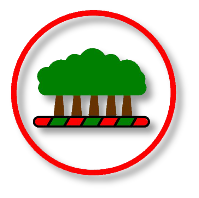 The Master of the Ceremony begins the proceedings by leading an invocation, encouraging the tree to produce a bumper crop in the coming season. 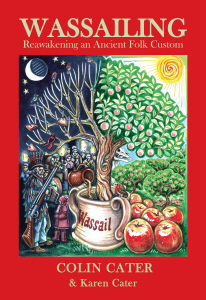 A spiced and cider-soaked wassail cake is placed in a fork of the tree and cider is poured over the roots to promote good growth. After some more words of encouragement for the tree, the Master of the Ceremony calls for beaters to thrash the trunk of the tree with sticks. This is one of the parts of the event that particularly appeals to the younger members - the harder they hit, the greater the stimulation! 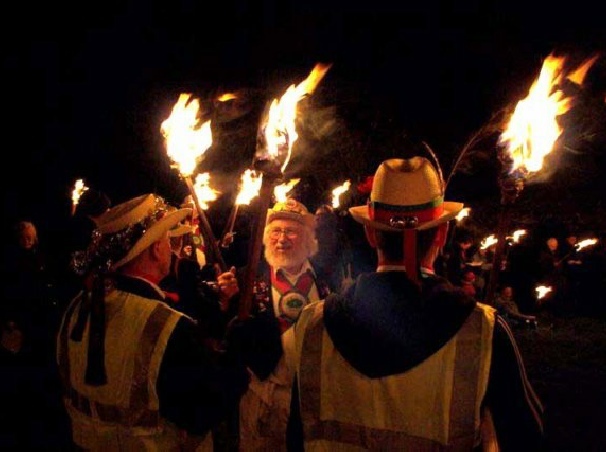 This is followed by a wassail song and a number of dances by the Chanctonbury Ring Morris Men. The high point of the ceremony now takes place with the ‘general hullabaloo’. This begins with a shotgun being fired into the air, at which point, everyone makes as much noise as possible. Bring your own ‘instruments’ - dustbin lids, old saucepans and football rattles - let your imagination be your guide! The hullabaloo ends with another gunshot - we used to use a whistle, but once the racket got going, no-one could hear it! The evening concludes back at the farmyard with spiced wassail cakes and English cider. As in previous years, we are hoping to be able to sample some more of that wonderful cider from Old Mill Farm, where the ceremony is held. A collection is taken to offset our costs, and so that everyone may associate themselves with the occasion and its undoubted benefits! 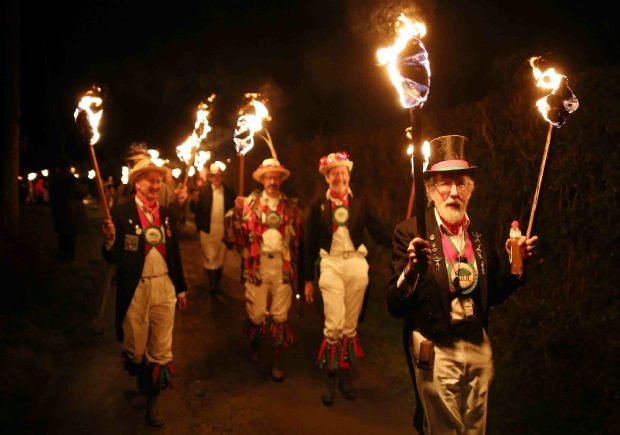 Flaming torches are used in the procession and these bring obvious hazards, especially if it's windy. We cannot allow children to carry torches at any point in the proceedings and we would appreciate the support of parents in enforcing this requirement. Wellies, thick socks, scarves and warm gloves are usually essential! Don’t forget something to make a noise with too!! There are no catering or toilet facilities at Old Mill Farm. You may wish to bring drinks, especially for children. Parking is very limited - it is advisable to arrive at least 20 minutes before we process at 6pm in order to be parked - once we’ve started we block the road you drive in on! 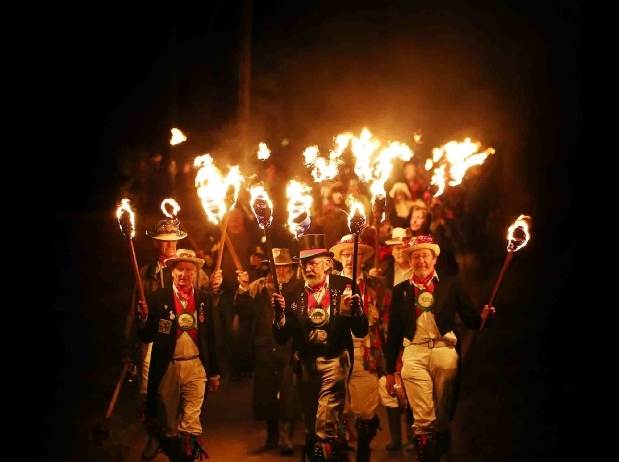 Chanctonbury Ring Morris Men and Apple Howling - a fuller guide..
A new book called “Wassailing” - Reawakening an Ancient Folk Custom has recently been published, which features our ceremony and its history, among many others. It is detailed yet a very enjoyable and informative read and we can thoroughly recommend it. Click on the image of it to the right and you will open a direct link to their website for more detail and ordering information.